The Western Sydney Wanderers have nary put a foot wrong since joining the A-League in 2012 but after falling short by a game in consecutive seasons Wanderers face a difficult task of remaining at the top while overturning the squad that’s brought them early success. 2013-14 was… another good year for the newest A-League club, finishing second and once again reaching the grand final. However, unlike their maiden season, the Wanderers failed to truly dominate the home and away season, but it’s hard to fault them for coming second, after all Brisbane Roar finished first by 10 points and were the deserved champions in the end. Once again Popovic showed his tactical prowess, having instilled a staunch defensive mindset in his team in the first season and continued into last season. The biggest difficulty that faced the Wanderers in 13/14 was the likelihood that their style will have become well-known to managers throughout the league, allowing for a different approach that could see teams dominate the red and black. It seems, however, that Popovic has a bright future as a manager, he was able to organize his players in a way that saw them choke out games more often than not occupying the entire defensive third and striking with deadly force on the counter. Their success in the league was also mirrored by their performance in the Asian Champions League, being the only team from the A-League getting out of the group stage. Having now reached the final, it will be important for the Wanderers to carefully balance their output so as to ensure that they don’t crash and burn against Saudi opponents Al Hadad in the first leg. It will be a very diffictult trip to Saudi Arabia in the second leg of the final, and if the Wanderers are to make history, the beginning of the upcoming season is going to be absolutely vital. 2014-15 will be… A very difficult one for Popovic and his men, having lost the players that made them deadly in the final third. Shinji Ono will be the hardest man to replace, having resonated with the fans as the hero of Parramatta Stadium with his technical flair and hard-working nature. Youssef Hersi will also be sorely missed, with his blistering pace a welcome sight for Perth Glory. His like for like replacement Brendan Hamill should be no less effective on the break, but Ono’s departure will put a lot of pressure on the fiery Vitor Saba. Saba has shown glimpses of the quality that he can bring to the table, but if Popovic is planning on utilising the same game plan that he has thus far in his A League managerial career, he should be put to the test with the man who is seemingly disinterested with the defensive aspect of the game. Key Player: Vitor Saba. Having come in from Italian side Brescia as a replacement for the Wanderer’s talisman Ono, there will be a lot of expectation on Saba to perform. The few games he has starred in has already shown promise for his contributions to the side, but the worry is that he won’t slot in to the Wanderers set up. Popovic has built his team around defensive solidity, ensuring that cheap goals aren’t given away (often) and punishing teams on the counter-attack. If Saba is to integrate into the side, it will be up to Popovic to sternly instill a sense of responsibility in the young Brazilian, otherwise there is a chance that they may be made to pay. After all, every team in the league looks to have strengthened dramitcally in the off-season, and if the Wanderers are to avoid being left behind, it will be up to Saba to produce the work ethic and brilliance that saw Ono become a fan favourite in his two year spell. 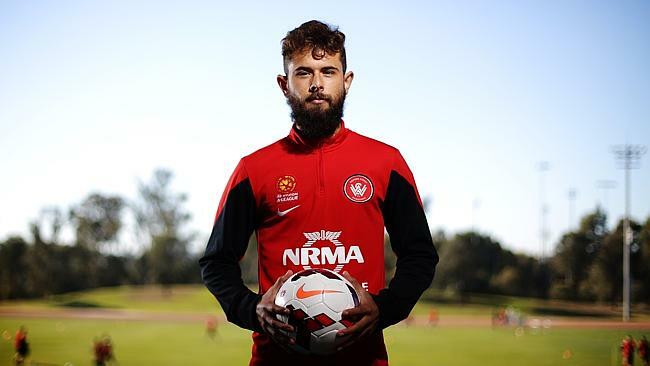 Vitor Saba has big shoes to fill with the departure of Shinji Ono but the young Brazilian has already impressed during the Wanderers preseason. What, or whom, do Central Coast need? One more step in the right direction. Wanderers have surprised everyone with their early success but the club is crying out for a trophy to truly establish themselves as a top tier Australian side. If the club’s new signings can effectively fill the gaps left by the departing heroes they could very well not miss a beat during the 2014/15 campaign.